Hey oh! I have been very busy with work and haven’t had much time to blog, so a big thanks to chewberto420 for holding down the fort! 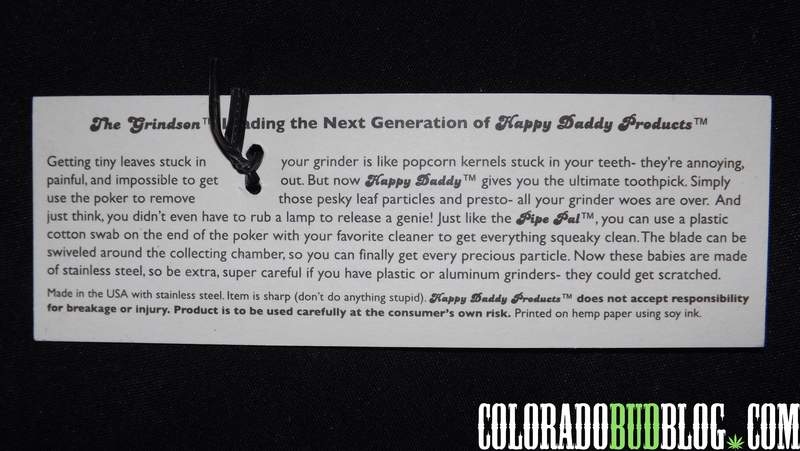 Anyway, today I will be reviewing The Grindson, a grinder tool made by Happy Daddy Products. 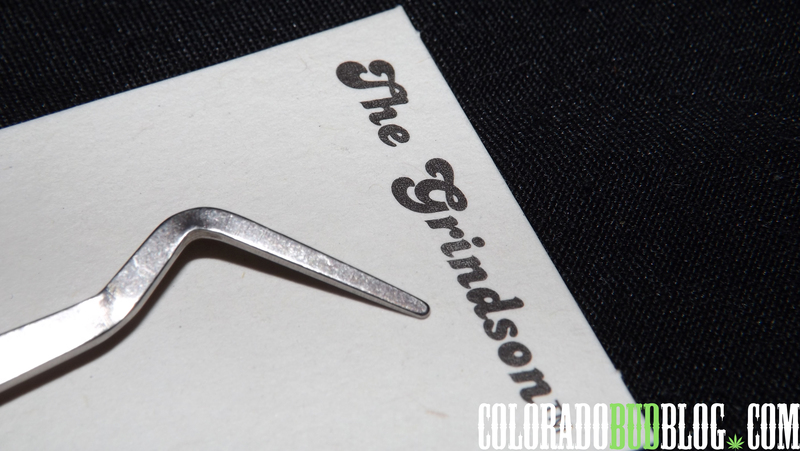 The Grindson is a double ended grinder tool. 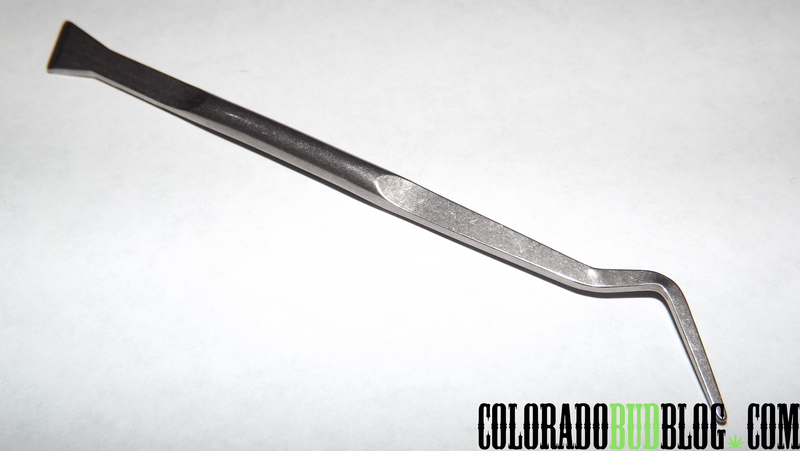 One end has a rounded pick, which is great for cleaning the teeth and the holes of your grinder. 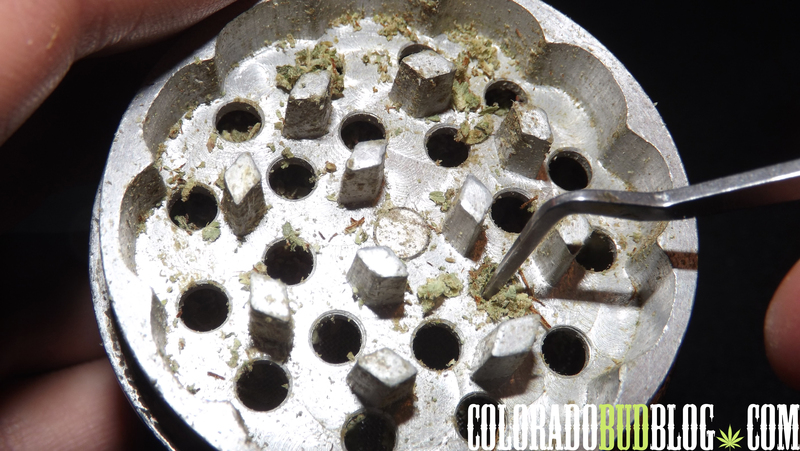 The Grindson works great for poking any leftovers from the top chamber of your grinder down to the storage chamber. The other end features a small scraper. 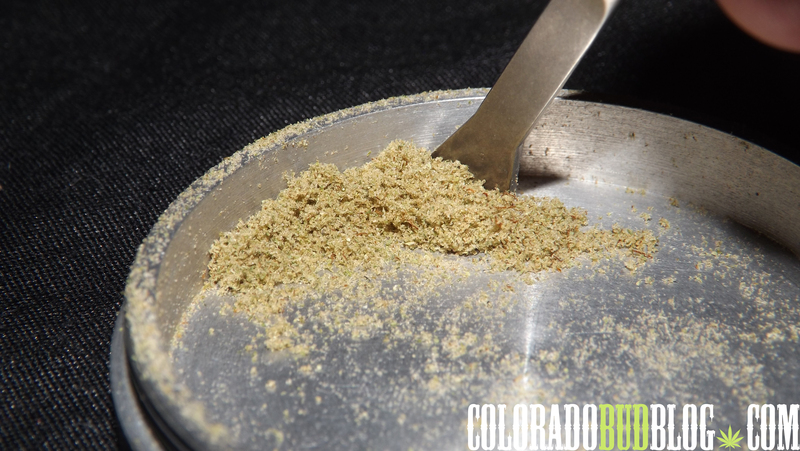 The scraper is awesome for gathering all of your kief in the bottom chamber of your grinder. 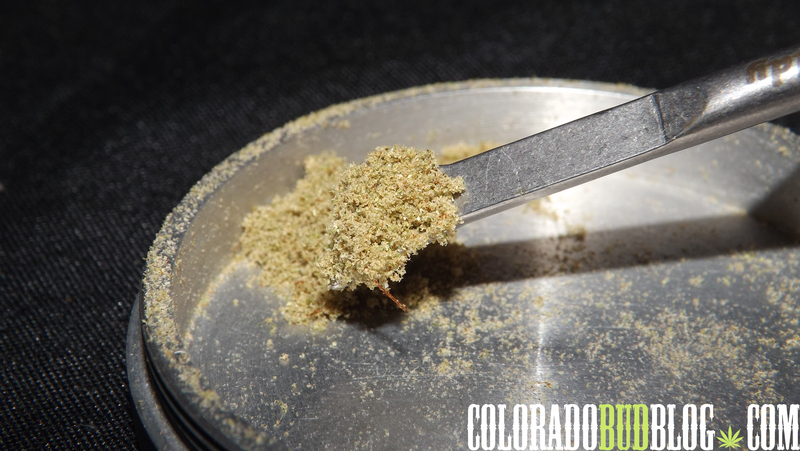 The scraper gets in to the corners of your grinder perfectly, getting every last bit of kief out of there. 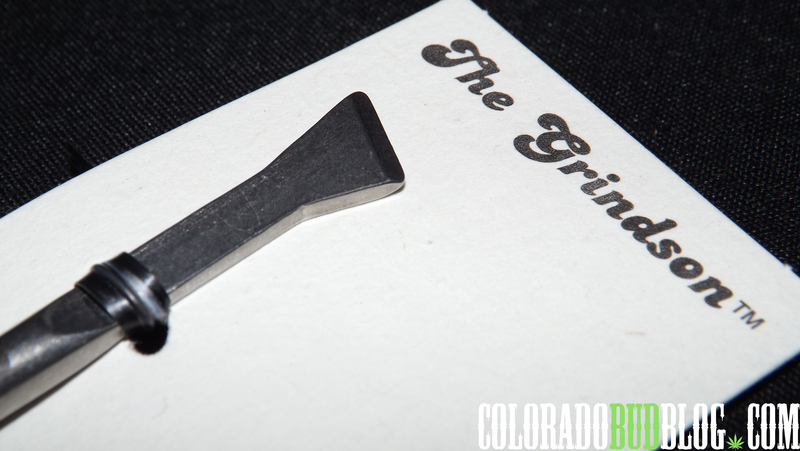 Of course, the scraper is also used to scoop up your kief for easy placement on bowls and in joints. In the end, I really like The Grindson grinder tool! It is perfectly designed to deal with any grinder related problems you may have. I would recommend this tool to anyone who uses a grinder on a regular basis. 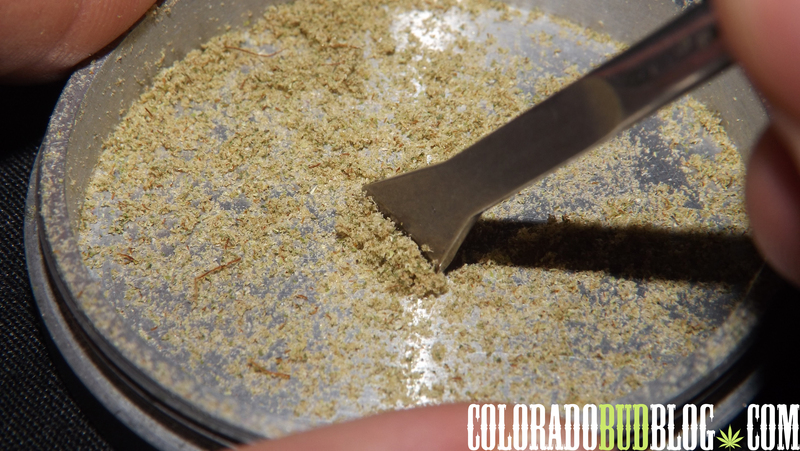 It works great to keep your grinder clean of any flower particles and to get all your of your precious kief out of there. Check out The Grindson, and many other tools from Happy Daddy Products, at http://www.happydaddyproducts.net!